It is interesting how many Korean brands are entering the country. From cosmetics to food brands, these things we used to only see in K-Drama are now within reach. 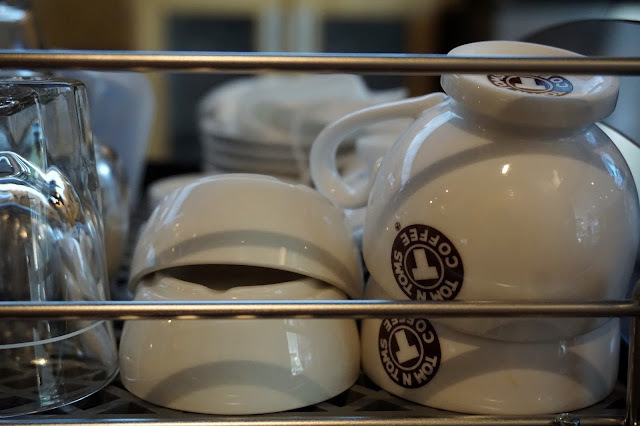 And it wasn't surprising to see this popular cafe brand to enter the local scene as well. 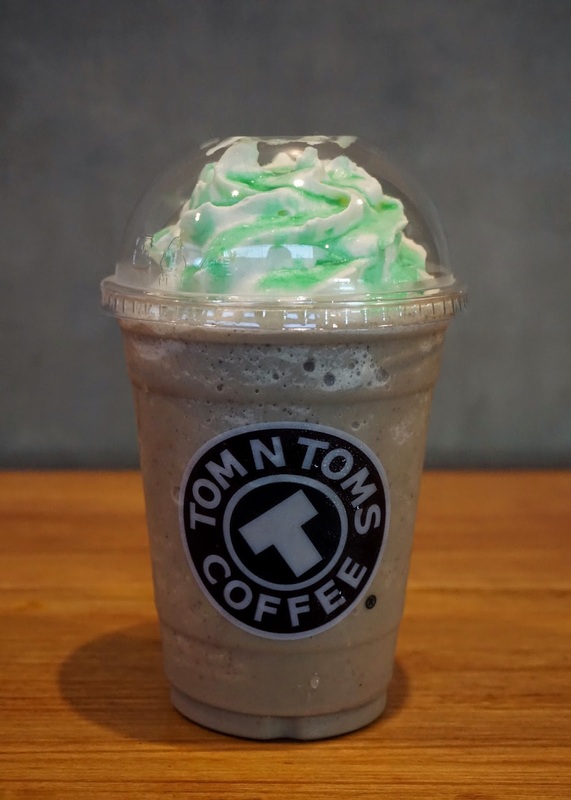 Hello, Tom N Toms Coffee! I was invited to the grand launch of Tom N Toms Coffee last February. But due to conflict with my schedule, I missed its big day. Thankfully, I had a meeting in U.P. Town Center a few days ago and figured that it was finally my chance to visit this popular Korean franchise. It'd be easy to miss this shop as it is tucked inside one of the hallways of the mall's Phase 2. But with several guards around to assist you, I guarantee you that finding it would be a breeze. From the H&M entrance, I just headed straight to the other end and reached Tom N Toms. I was warmly greeted by Rose who was behind the counter and Laurence, the store's manager. 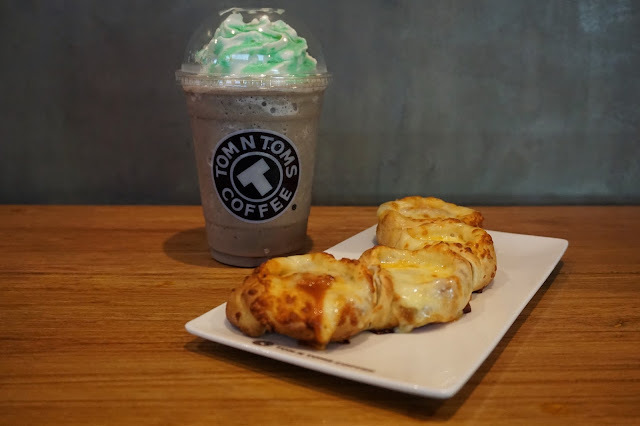 They recommended some drinks and dishes for me to try and I chose Green Mint Chocolate TomNccino (PHP160, tall | PHP175, Grande | PHP190, Venti), Pepperoni Pretzel (PHP175) and Mango Milk Snow Flake (PHP280). I was impressed to see Rose making my pretzel on the spot. 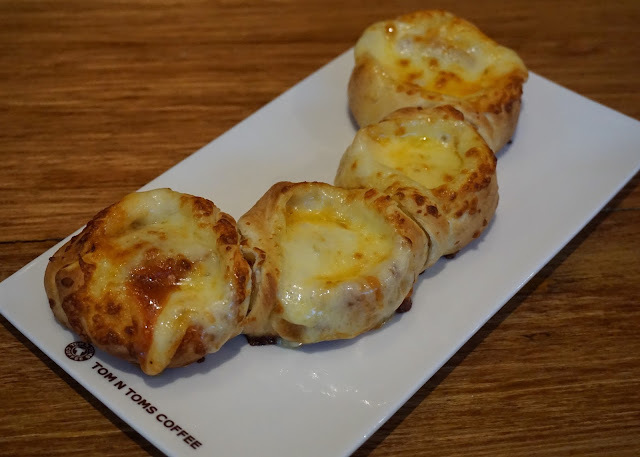 Unlike other cafes where they just pop the ordered pastries in the oven, Tom N Toms prepare it from scratch to provide its customers with freshly made ones. 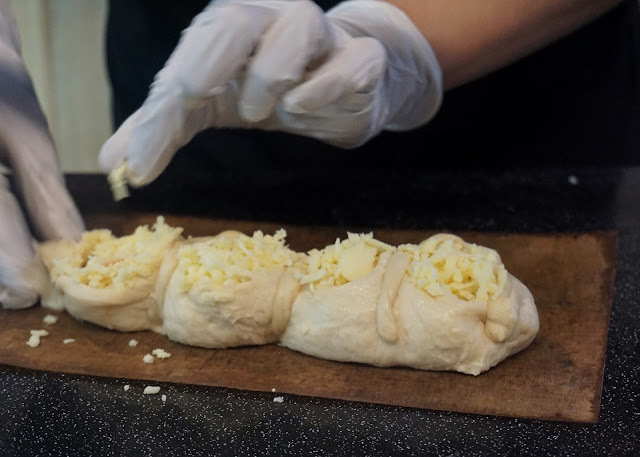 Though it would 10 to 15 minutes serving time, I didn't mind at all as I was not in a hurry and getting a fresh pretzel beats a microwaved one anytime. And it was love at first bite! The bread enveloping the cheese and pepperoni was so soft. 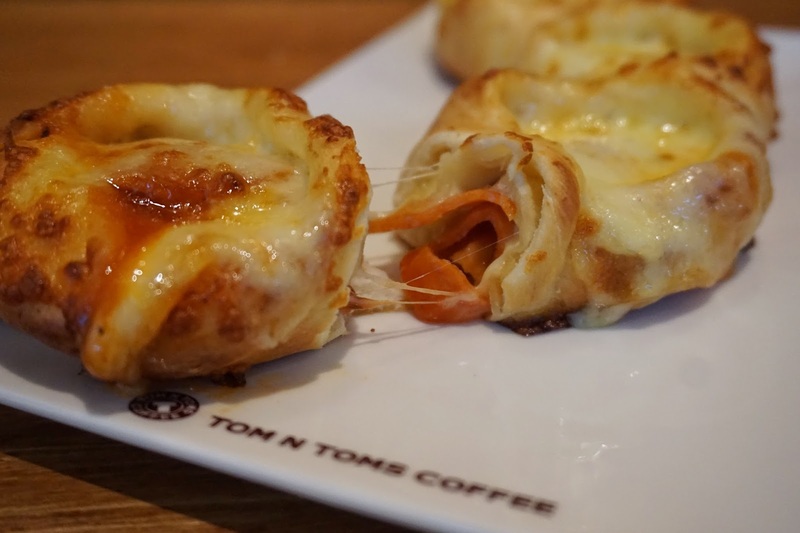 Actually, the whole pretzel reminded me of thick crust pepperoni pizza with extra cheese. Each bite was oozing with flavor. And it was very filling as well. 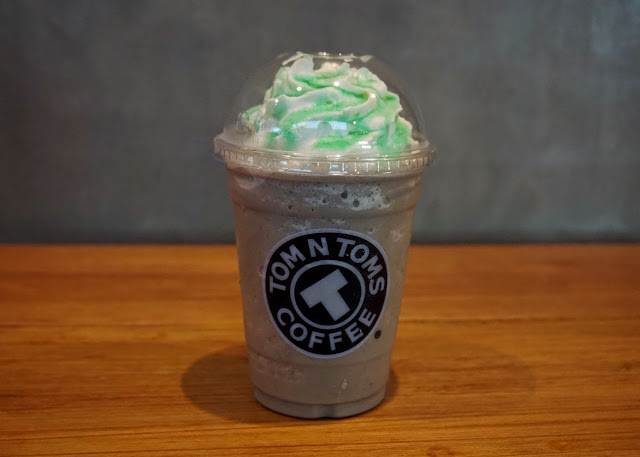 The Green Mint Chocolate TomNccino was great too. I'm not really fond of mint but I liked this one. The mint flavor balanced the natural sweetness of chocolate and made the drink very refreshing. 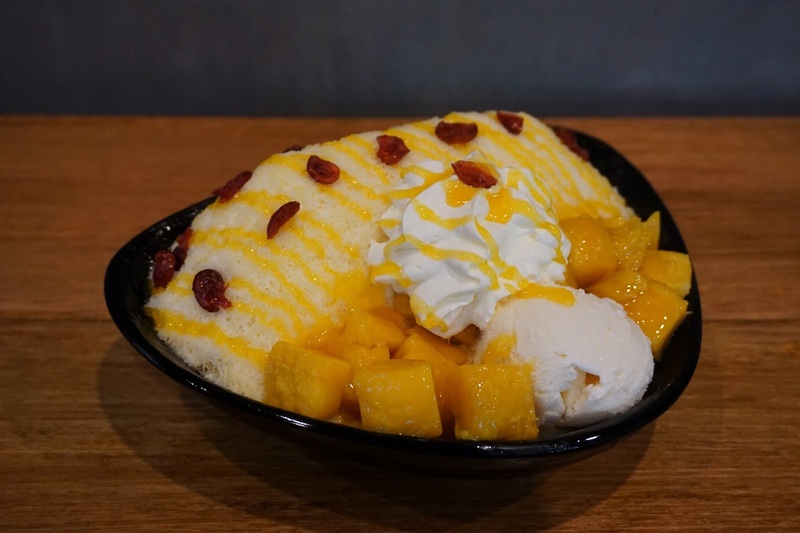 To cap my quick (and supposedly light) lunch, I indulged in Tom N Toms' newest product, bingsu. I found the price range a bit too expensive at first but I then realize that it was worth every penny when my bowl was served. It had generous fruit chunks and it even had frozen cranberry bits! The mango chunks were delightful as well as it was very sweet which went very well with the fine snow ice infused with milk. Overall, it was a very pleasant visit. It's also a great place to work on some paperworks as the cafe's wi-fi is reliable. My only concern is that the A/C cannot beat the scorching heat and it tends to be a bit too warm inside the cafe. Tom N Toms Coffee is located at Ground Floor, Phase 2, U.P. Town Center, Katipunan, Quezon City.